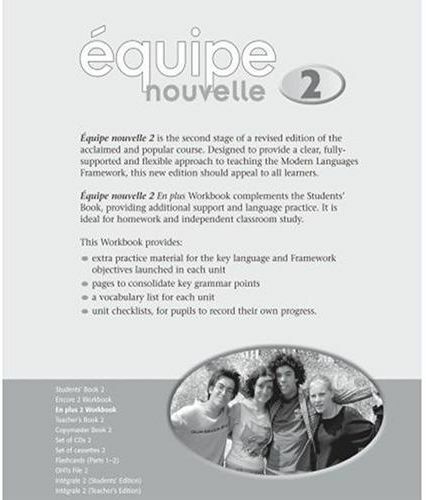 Complements Equipe nouvelle 2 Students' book, providing additional support and language practice. Ideal for homework and independent study in class. Vocabulary checklists for each unit; pupil progress checklists, end of year quiz.